The 2016 growing season benefited tremendously from the return of significant winter rainfall across the Napa Valley. Whereas the challenging 2015 season produced smaller yields of high-quality fruit, 2016 was more in keeping with the textbook vintages of 2012 and 2014, with a longer and milder growing season. In the Melanson Vineyard, we began working with Vineyard Manager Josh Clark, whose vine-by-vine approach to farming this site is having an enormous positive impact. Josh’s contribution is clearly visible in the 2016 Pulido~Walker Melanson Vineyard Cabernet Sauvignon. Throughout the season, he dialed in to the health of each specific vine and made individual pruning passes. The result at harvest was fruit of consistently high quality, a much greater percentage of which belonged in the fermenter. Even a young vine block of clone 7 that had been lackluster in previous years was impressive enough in 2016 to make the final cut. 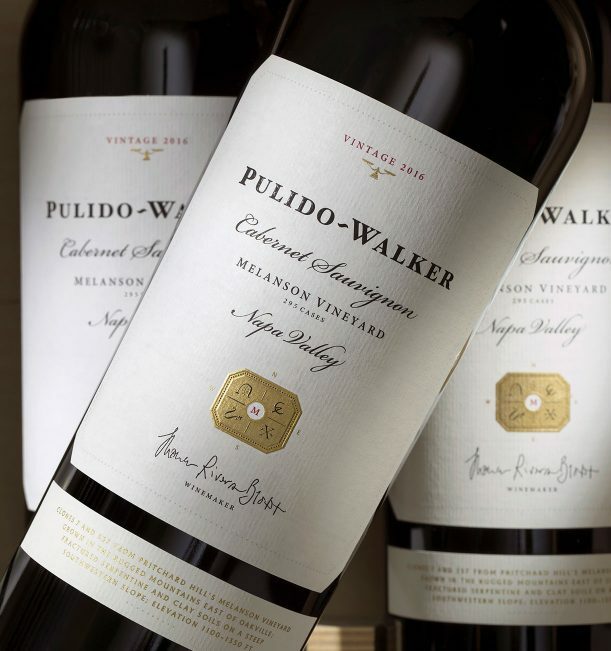 The 2016 Pulido~Walker Melanson Vineyard Cabernet Sauvignon is beautifully site driven. Akin to the 2013 vintage, there is plenty of tannin and crushed rock to mark this as a Pritchard Hill wine, although not excessively so, thanks to a buffering acidity similar to what we saw in the 2014 vintage. As with that vintage, the 2016 tastes unmistakably like the Melanson Vineyard: liquid minerals, white flowers, plenty of dark fruit. The structural characteristics married to the deep black fruits, savory notes, and dried herb qualities we’ve come to expect from this site make this a rounded, complete wine. That completeness will surely be the trademark of this extraordinary 2016 Napa Valley vintage—the best of a superb run of five vintages from 2012 to 2016.